A grilled-cheese sandwich—with fine cheese, good bread and lots of butter—is great eating just about any time, but when you’re aboard your boat, cruising around Lake Ontario’s Golden Horseshoe for two weeks, it’s golden. We tried grilling a sandwich using a light rye with caraway with, for the first time, German Limburger cheese (above) and it turned out sharp yet delicious. Later that day, when I talked with Julia Rogers on the phone about The Great Canadian Cheese Festival, I mentioned the Limburger variation and she suggested we sometime try Pont-l’Évêque, the pungent cheese of Normandy. Which we will do. Another delicious sandwich resulted from the use of St. Albert Extra Old Cheddar. 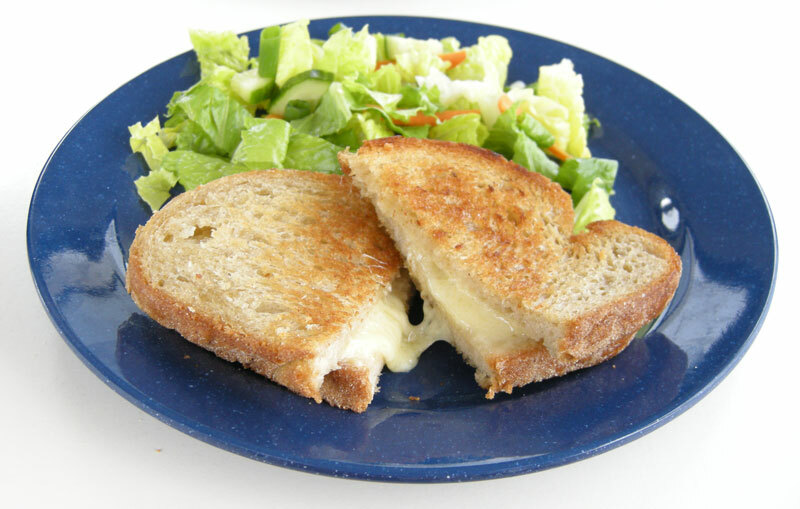 Cheddar is such a natural on toasted bread, but we did expect Extra Old Cheddar to have more oomph. On the other hand, as I believe it’s aged only 22 months, our expectations were unreasonable. 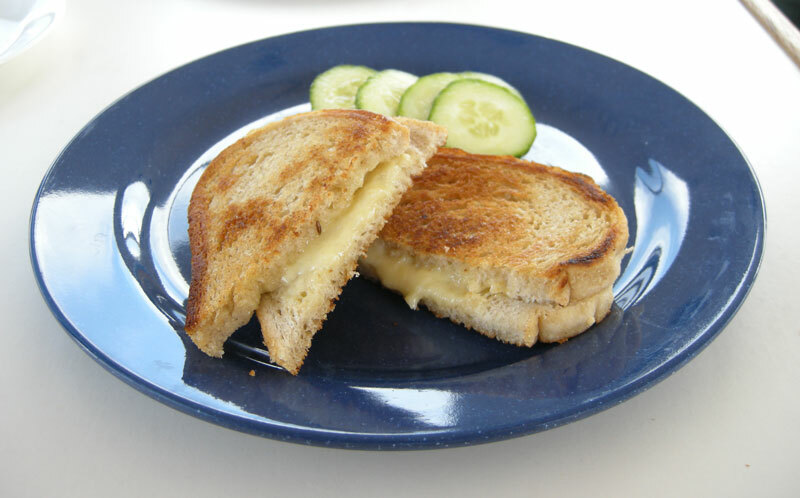 Our all-time favourite grilled-cheese was the Camembert and Blue combination we enjoyed maybe 15 years ago, also on a boat, this time in Southwest Florida. 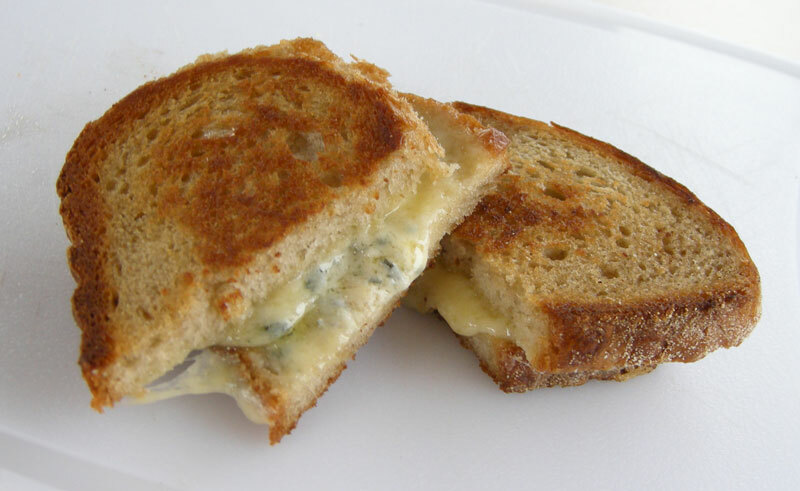 The sharp Blue was the perfect counterpoint to the creaminess of the Camembert, all of it oozing out of crusty French bread, well-buttered, of course! Georgs Kolesnikovs, Cheese-Head-in-Chief at CheeseLover.ca, loves boating as much as he enjoys cheese.